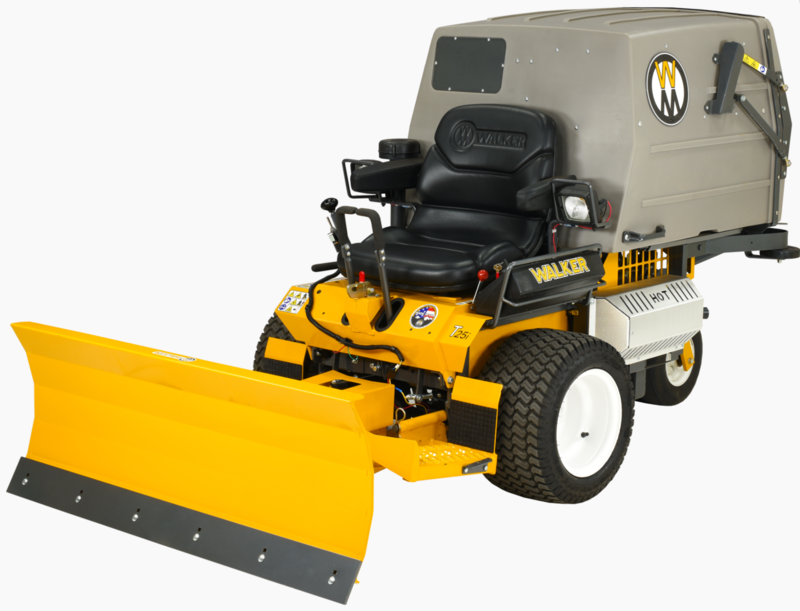 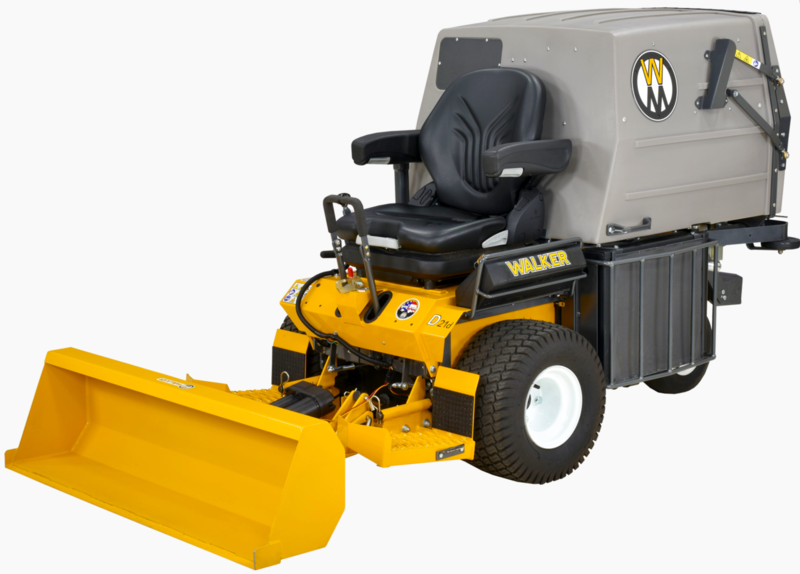 This Rotary Broom implement by Walker Mowers has a 47" sweeping path and five-position angle head that is adjustable from operating seat that is ideal for sweeping debris or light snow on hard surfaces or for lawn dethatching and raking. 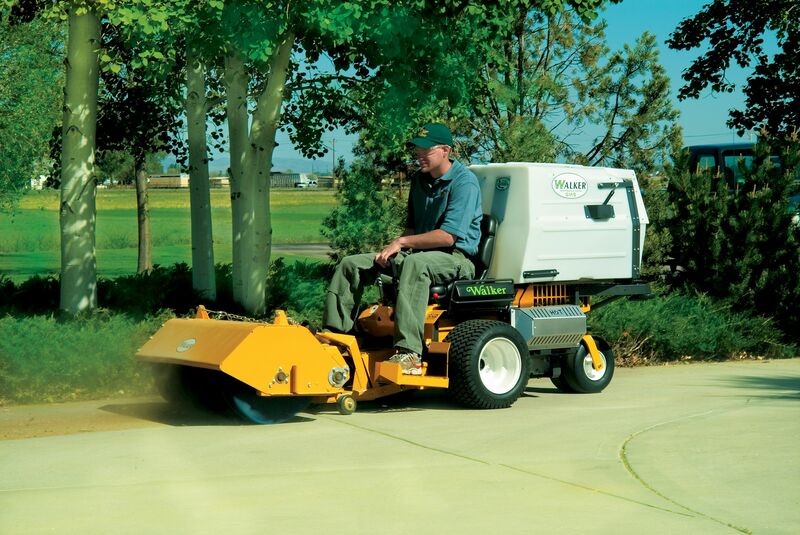 In addition to dethatching turf, the broom does a great job of sweeping and removing gravel and debris from turf areas along roads, pathways and playing fields. 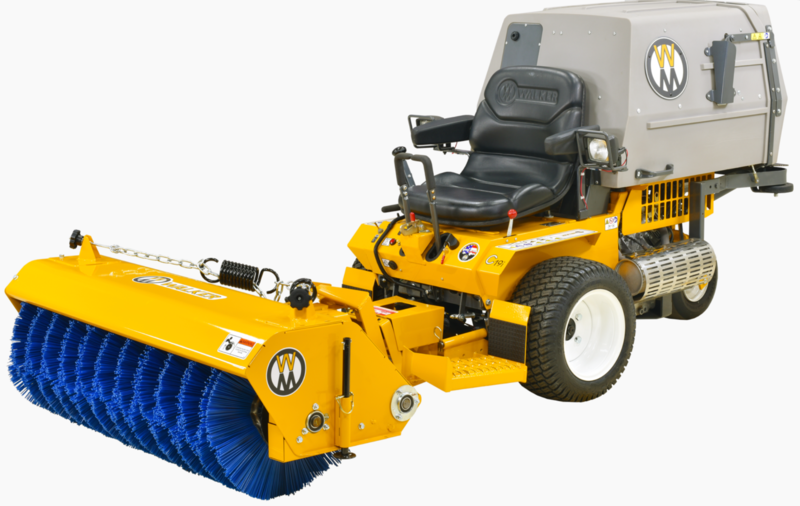 Down pressure is spring weighted and is adjustable for great sweeping action and minimum brush wear. 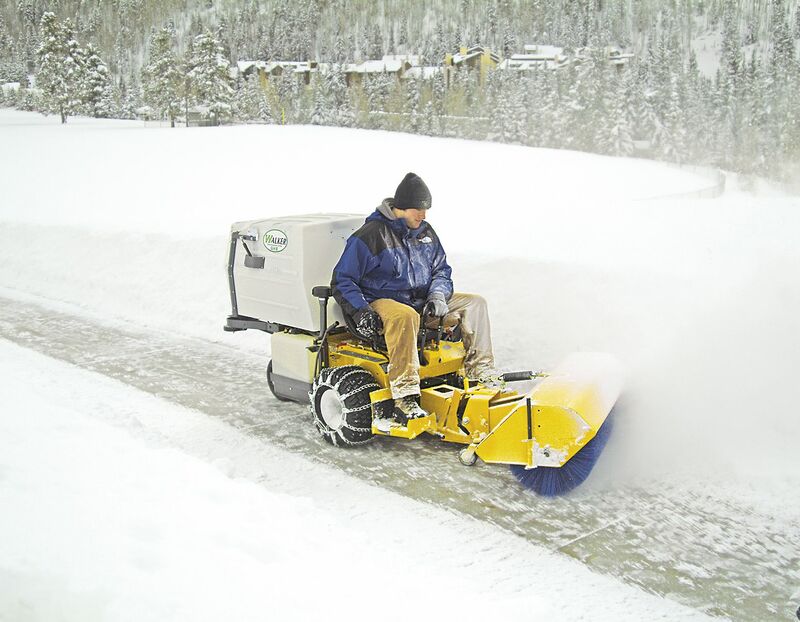 Requires implement hitch. 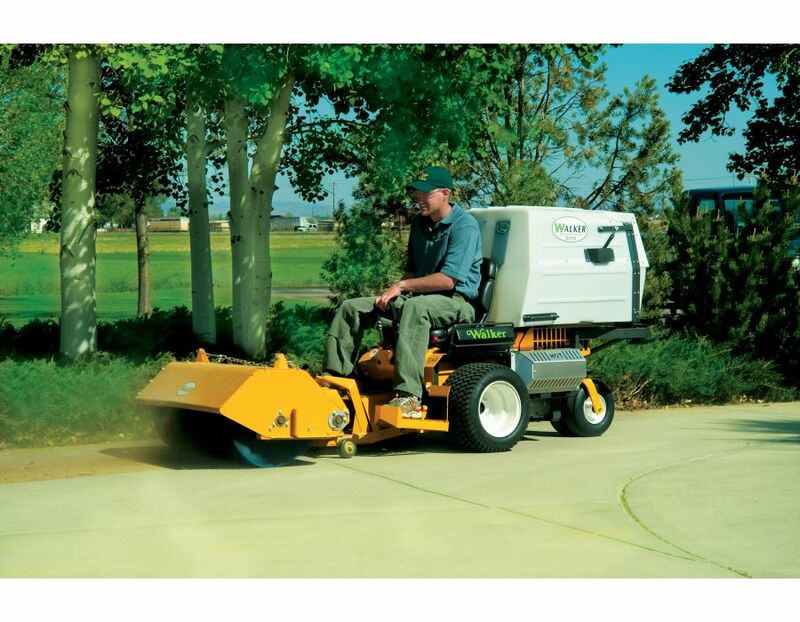 Optional gauge wheels (2 side-mounted 6" wheels) recommended for lawn dethatching to control depth of engagement. 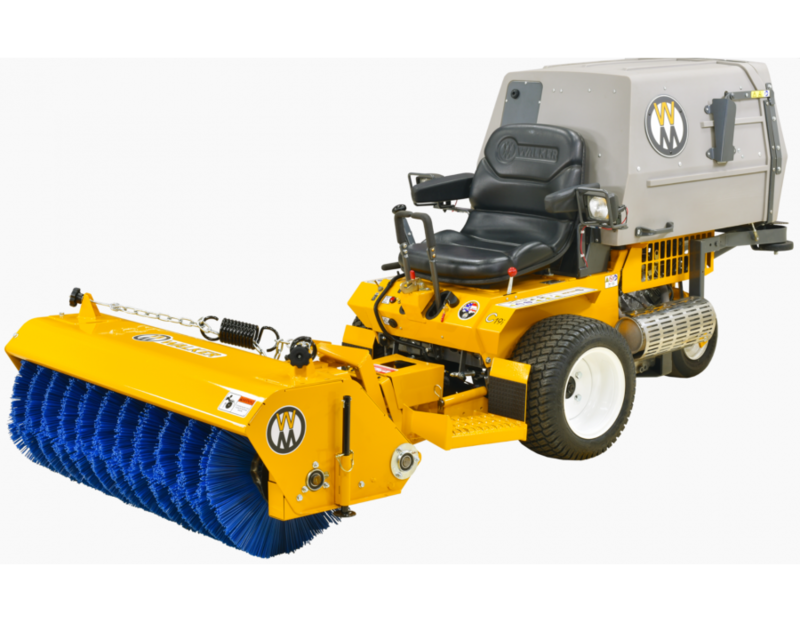 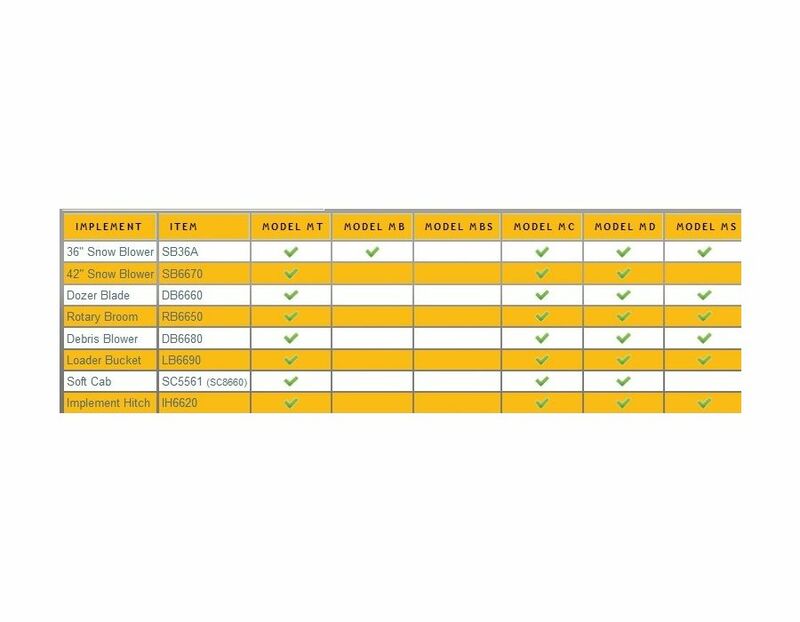 The Rotary Broom is another way to extend the usability of your Walker commercial riding lawn mower. 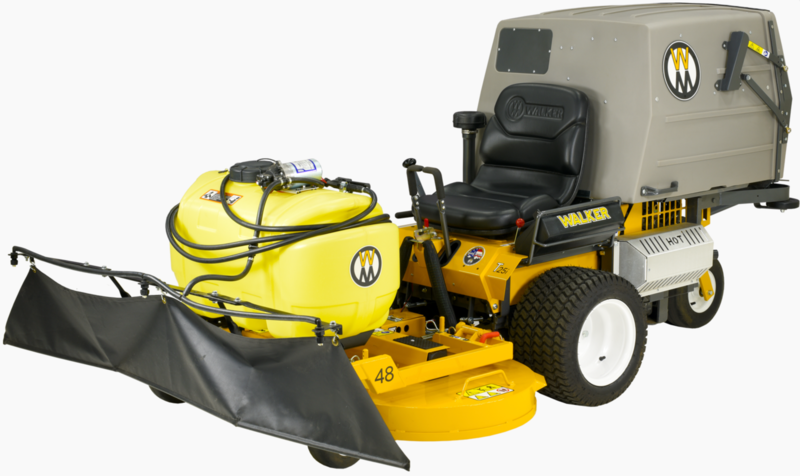 The Walker Mower Rotary Broom Attachment is available at Kooy Brothers located at 1919 Wilson Avenue in Toronto, Ontario.